Welcome to my True Love Skin Care site. 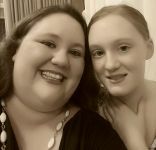 My daughter McKenzie and I would love to share our passion for healthy skin. These products can help you and your loved ones. Whether you order online or set up a party we are here to help. True Love Skincare is dedicated to alleviating everyday skin conditions with all-natural, pain-free, and truly effective remedies.